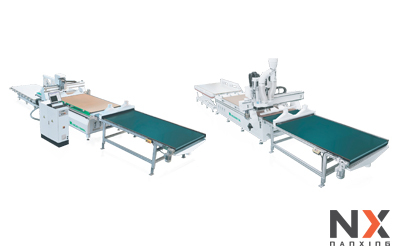 Vertical & horizontal Saw with cutting size 3300 x 1800 mm, max. cutting thickness 120 mm, main saw rotating speed 3910 RPM. 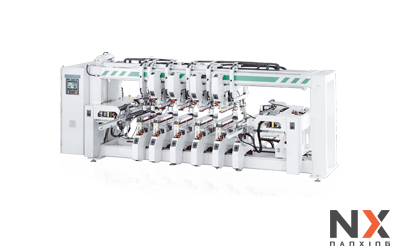 Auto multi rows boring machine with auto positioning, Quick release and change of drilling block, Max feeding speed 24 pcs/min. 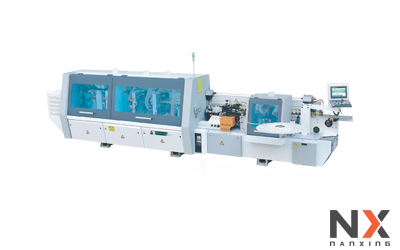 Auto edge banding machine with optional type: NB7HJ. 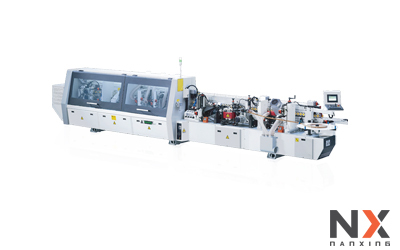 Panel length ≥ 120 mm, Panel width ≥ 80 mm, Min. panel size 120 x 80 mm. 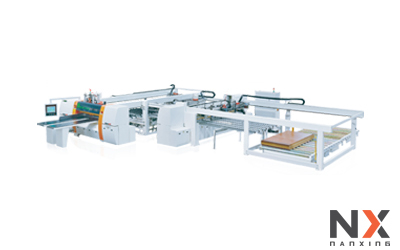 Woodworking Flexible Production Line (AL + UL CNC Nesting Line). Lihat spesifikasi lengkap dari mesin NCG1325L / NCG2513L disini. 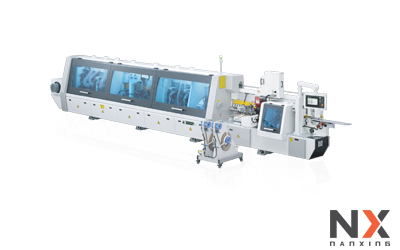 NB7PCG – Auto High Speed Edge Banding Machine (Smart) Improve Production Efficiency and Product Quality. The steel plate of engine base is processed by advanced CNC milling machine for high stiffness and longer service life. 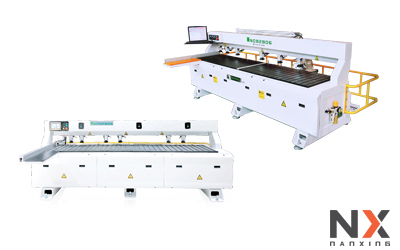 NBC332 – Auto Edge Banding Machine, high precision and quality thanks to advanced CNC and robot for metal work. 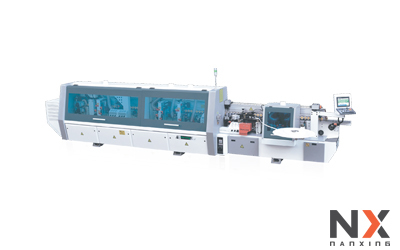 Designed to process side boting and grooving work of workpiece, divided into 3 workingstations max process three workpieces in one cycle. 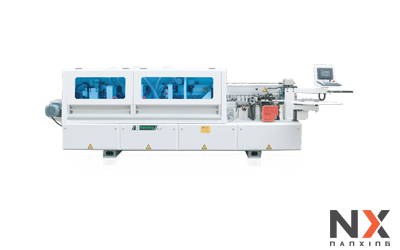 NB6IJ – 45° Auto Inclination Edge Banding Machine with with partially inclined edge. Minimum panel size 280×120 mm.